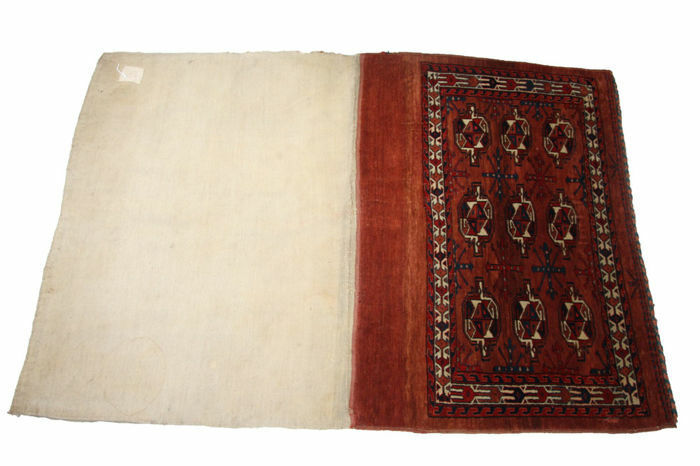 antique Turkmen, juval rug circa 1920 in brown colour good condition. 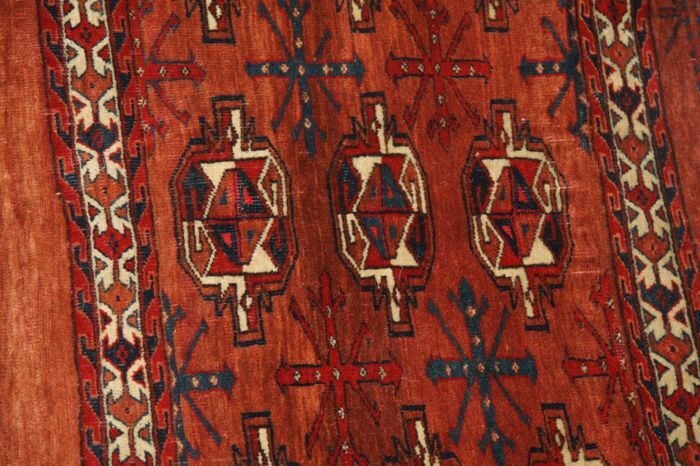 A genuine handmade antique Turkmen Juval/Chuval wool rug circa 1920, measuring 160cmx110cm (5'x3'6") and having hexagonal motifs or Gul each decorated with geometric objects in the main brownfield. 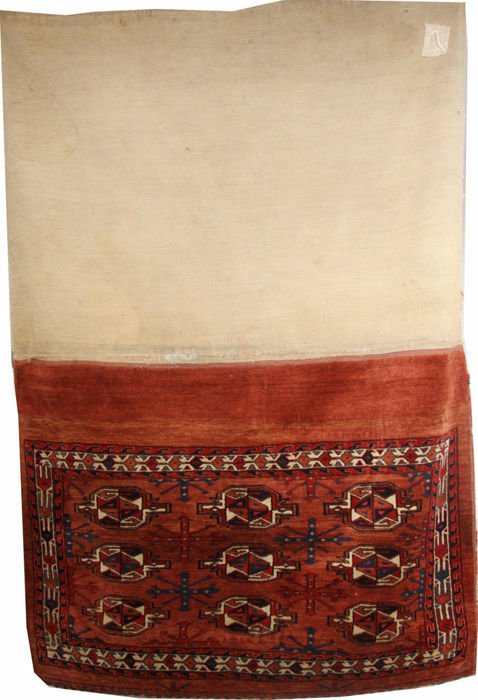 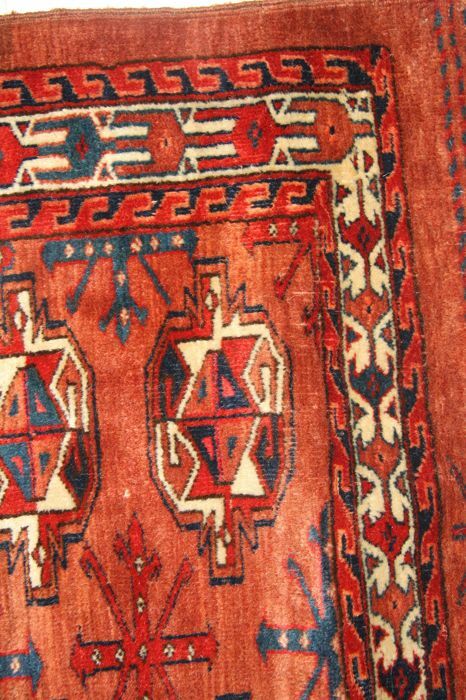 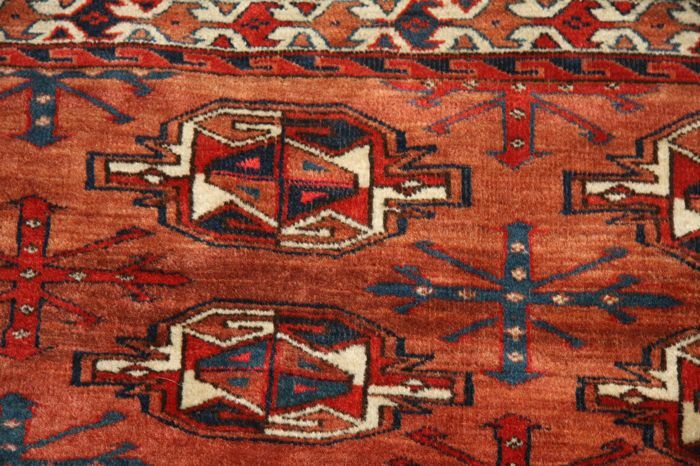 This charming Juval mixes both antique and decorative look and seldom found with having its long Kilim well preserved. 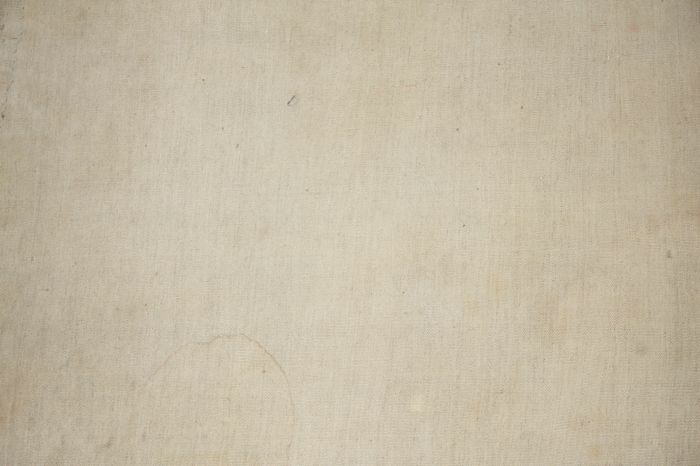 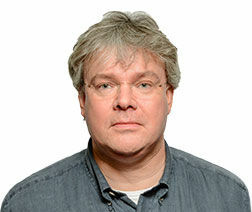 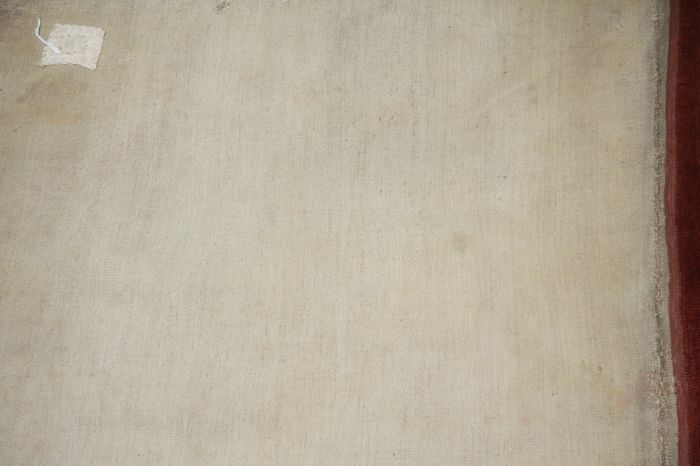 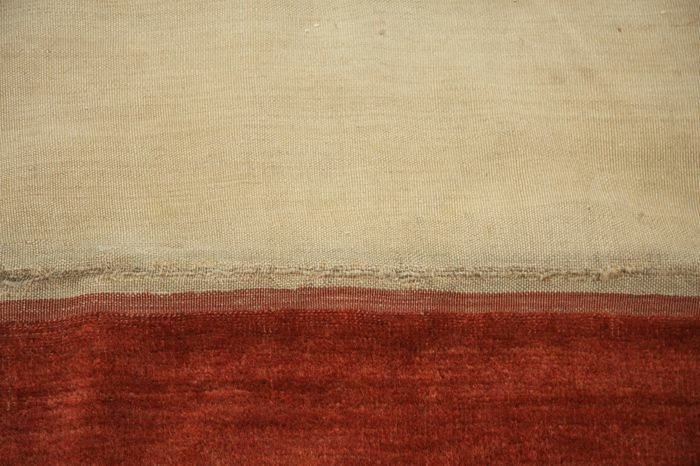 It is also generally in good condition with only a couple of small stitches shown in one of the photos. 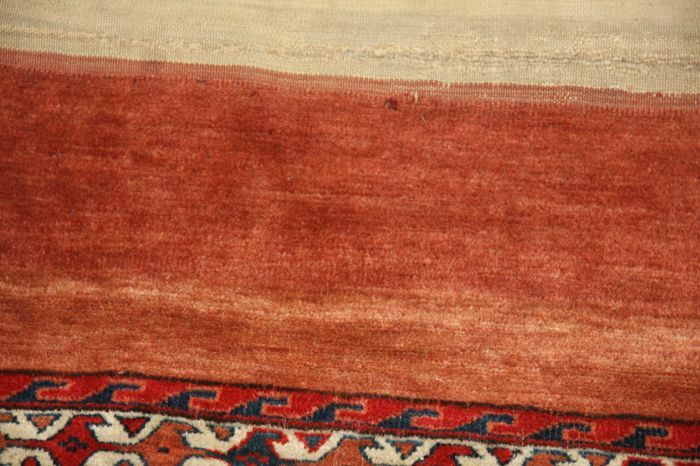 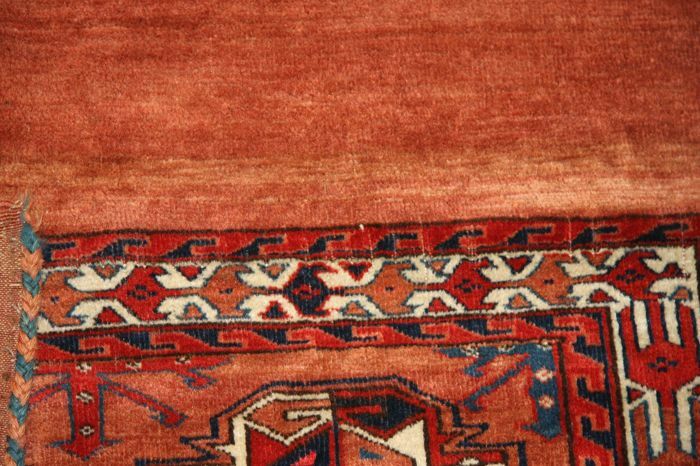 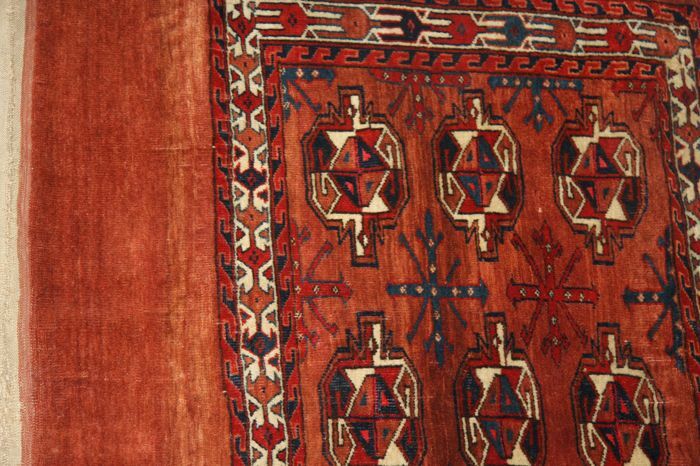 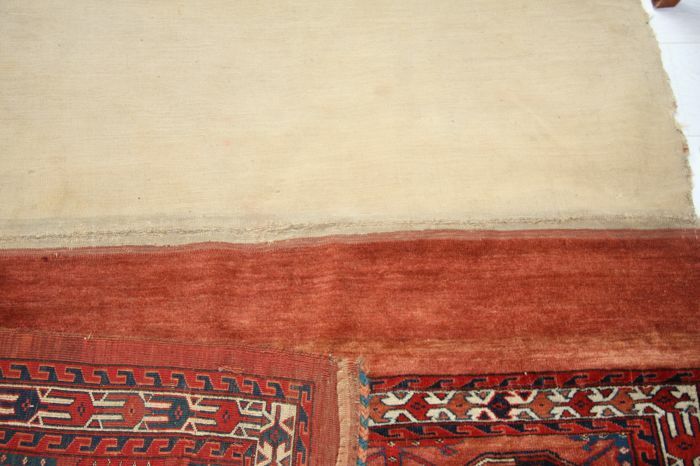 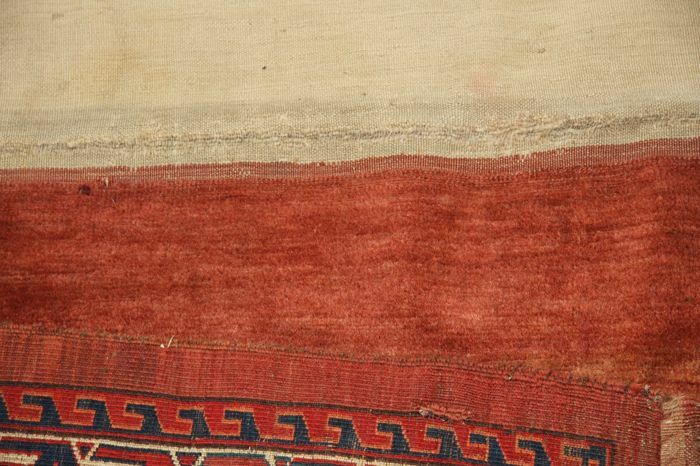 Also, there is small patch sewn to the Kilim due to the small tear in which has been protected.